What is the relationship between paid keywords and paid traffic value? Paid keywords are keywords you bid for inside Google Adwords. You pay Google a fee for each click in order to appear in their sponsored action for keywords related to your business. 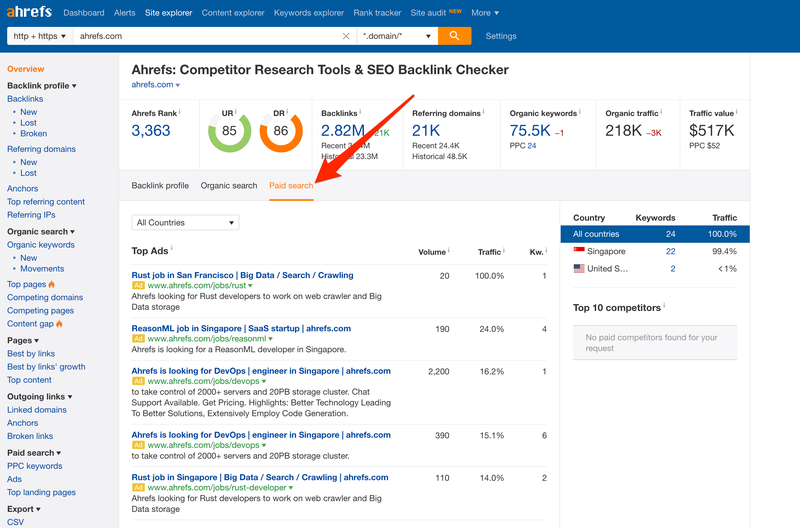 Inside the Paid Search report, Ahrefs shows the keywords the target site has bidded for. 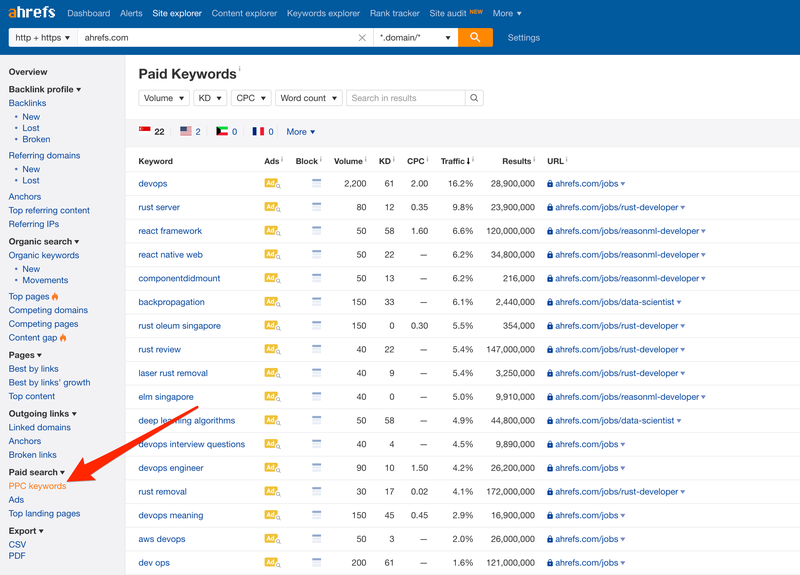 Note: Sometimes you may find that a keyword your competitor is bidding is not shown in the "Paid keywords" report. Read this article to find out why. Paid traffic value shows the estimated monthly cost of paid search traffic from all the keywords a target website/URL ranks for via pay-per-click (PPC). Learn more about our traffic value metric here. The traffic metric, found under the Paid Keywords section, refers to the percentage of paid traffic generated to a target website/URL by a given keyword. Please note that these percentages are only an estimation based on the last known paid positions on the target site. 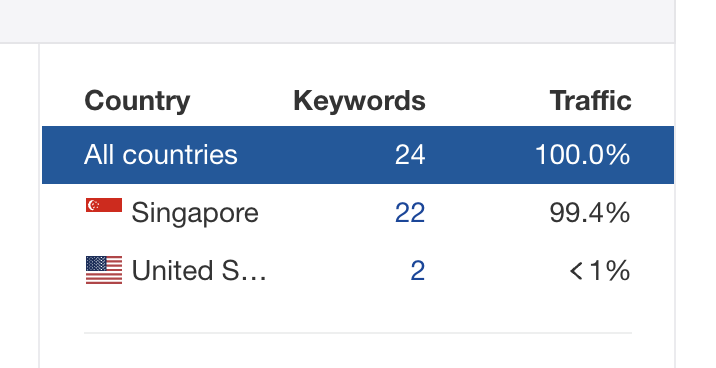 Why are some keywords not shown on your paid keywords report? What is Traffic value in Site Explorer? How accurate is CPC in Ahrefs?